What's New for the 2018 Lincoln MKT? A fresh new look is in store for those wanting a 2018 Lincoln MKT, which comes in three appealing new choices of exterior color. This revamped SUV offers three rows of seats with capacity for up to seven passengers. It has a spacious, comfortable, and luxurious interior and a wealth of tech and safety amenities. 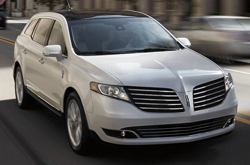 The newest Lincoln MKT is a crossover SUV that falls into the category of luxury cars. The latest Lincoln MKT comes with front wheel drive, and it's powered by a large turbocharged six cylinder, 3.7L engine paired with an automatic transmission. Across all trim levels, the average gas mileage is 16 MPG in the city and 24 MPG on the highway. 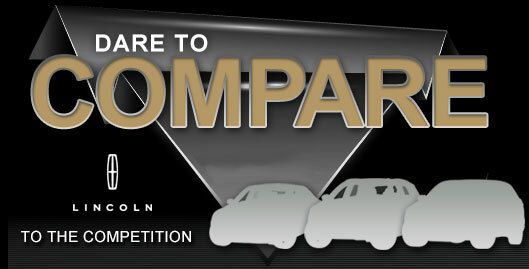 There are two trim levels offered for the Lincoln MKT, which are the Premiere and the Reserve. The Premiere is the base model, and the Premier is the higher-end edition. Both are loaded with a number of standard amenities and can be further customized with additional features. The Premiere features a glass roof, HID adaptive headlights, a keyless start and entry, attractive ambient lighting, a powerful audio system with 10 speakers, a tech-savvy infotainment system, and large 19-inch alloy wheels. The first and second rows of seats are made with leather upholstery, and the Premiere has a rearview camera for backup assistance. This model also has three zones of climate control to let passengers in all three rows ride in a temperature of their comfort level. A power liftgate is a standard component of the Premiere, as are power-adjustable pedals, a leather-wrapped steering wheel with wooden accents and audio controls, and a leather-wrapped shifter knob. 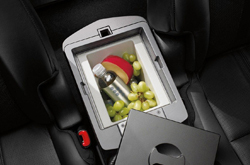 A cargo net, lockable glove compartment, and a 110V power outlet are other amenities of the Premiere. Power-operated and heated side mirrors with LED turn signal indicators, LED tail lights and a capless fuel filler are other standard amenities of the Premiere. Inflatable outboard safety seat belts are optional amenities for the second row of seats. The Reserve trim level has the same standard amenities of the Premiere plus more, and customers can upgrade their Reserve with desirable add-on amenities too. A heated steering wheel, cross-traffic alert, navigation system with Sirius XM radio, an HD radio, and third row split bench seating are some additional amenities of the Reserve. There are a number of add-on features customers can get to further enhance their ride, including active park assist, lane keep assist, forward collision warning, and adaptive cruise control. A moonroof and headrest-mounted DVD entertainment system are other amenities that can be purchased for the Reserve. The engine that powers the 2018 Lincoln MKT Premiere is a powerful 3.7L V6 engine with two chrome exhaust tips. This engine has 303HP and 279 LB-FT of torque. The Reserve has a twin-turbocharged 3.5L 365 horsepower V6 engine with 350 LB-FT of torque and an intelligent all-wheel drive system. Both models have a six-speed automatic transmission and electric power-assisted steering. The Premiere is available with front-wheel drive, and the Reserve is fortified with an advanced adaptive suspension system. Numerous safety features make the 2018 Lincoln MKT prepared to handle adverse weather conditions and make drivers and pedestrians safer on the roads. Both models have a rearview camera and a front passenger sensing system that triggers the airbag to activate. 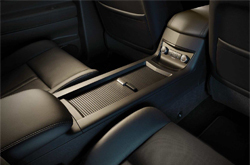 Seat-mounted front airbags are also found in both trim levels of the Lincoln MKT. In crashes, occupants are protected with a rollover sensor and side curtain airbags. An SOS post-crash alert system provides assistance following a crash. 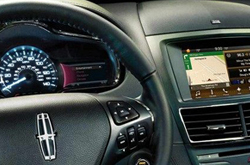 A tire pressure monitoring system, child proof rear door safety locks, and an anti-lock brake system with ventilated disc brakes are other safety features that come with the 2018 Lincoln MKT.